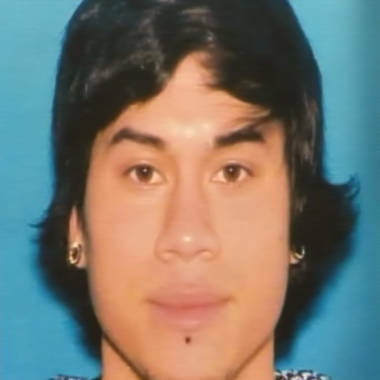 Police say they still don't know why 22-year old Jacob Tyler Roberts, who hadno criminal past, shot two people dead and injured a third before turning his gun on himself at an Oregon mall.NBC's Mike Taibbi reports. The man who shot two people to death and wounded another at an Oregon shopping mall had suffered a series of setbacks in the past year, but those who knew him say they are mystified by his violent assault. Jacob Tyler Roberts, 22, had lost his driver's license after a couple of speeding tickets, broken up with his girlfriend, been evicted from his apartment, then quit his job and told friends he was going to Hawaii -- only to apparently miss his flight last weekend. Roberts was identified Wednesday as the man who opened fire in the food court of the crowded Clackamas Town Center southeast of Portland. Steven Mathew Forsyth, 45, and Cindy Ann Yuille, 54, were killed, and Kristina Shevchenko, 15, was wounded before Roberts turned the gun on himself. Police say Roberts did not have a criminal history, but that he stole the AR-15 rifle that he used in the shooting. Roberts killed himself at the mall. Roberts' Facebook page listed shooting as one of his interests, NBC Mike Taibbi reported on TODAY on Thursday. Before quitting his job, Roberts told co-workers at the sandwich shop where he worked that he had inherited money and planned to travel to Hawaii and perhaps move there. His ex-girlfriend, Hannah Sansburn, 20, told ABC News that he sold all of his belongings in preparation for moving. "He had his plane ticket and was ready to go," she said. "He was supposed to catch a flight Saturday and I texted him, and asked how his flight went, and he told me, 'Oh, I got drunk and didn't make the flight.'" The last time Sansburn saw Roberts -- a week ago -- she noticed he seemed "numb." "I just talked to him, stayed the night with him, and he just seemed numb if anything. He's usually very bubbly and happy, and I asked him why, what had changed, and [he] said 'nothing.' He just had so much he had to do before he went to Hawaii that he was trying to distance himself from Portland," Sansburn said. She told ABC she wondered if Roberts was ever really planning on moving, and said she was shocked he could have committed such a terrible act. According to a profile in The Oregonian newspaper, a friend of Roberts' stepfather said Roberts had planned to enter the Navy after graduating from Oregon City High School in 2008 but couldn't because of an injury. "After that, everything kind of fell apart for him," Rosalie DeDore told the newspaper. A friend, Benjamin Eshbach, described Roberts as fun and light-hearted. "It's a very difficult thing to wrap my head around," Eshbach, who said he played chess with Roberts and went out with him, told the newspaper. "It's hard to imagine him being any other way. Something doesn't fit." In recent months, Roberts had moved into the basement of a small home in southeast Portland with two roommates, according to neighbors who told NBC station KGW that he seemed like a nice man. Roberts went to Clackamas Community College in 2009, but withdrew after his first year of classes, reported KGW. In high school, he had been an "average" student who didn't do extracurricular activities, and had no disciplinary actions on his record, district officials told KGW. On Wednesday, Roberts' aunt provided a hand-written note through a friend to reporters apologizing for his behavior. KATU of Portland reported that family friends said Tami Roberts is Roberts' aunt but raised him. She wrote that she had "no understanding or explanation for her son's behavior" and adding she was "very sad and wants everyone to know that she is so sorry what Jake did, it's so out of his character."